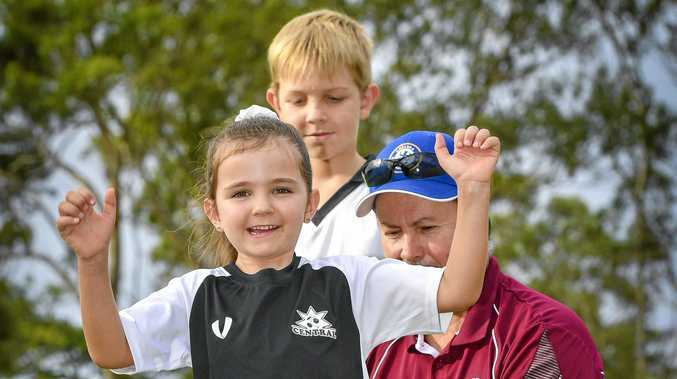 SOCCER: Central Football Club has received a massive boost for season 2019. The Football Central Queensland Premier league club has appointed Craig Longden as its new Technical Director. His role will be to oversee and support the coaches at Central. Longden said he looks forward to add a professionalism to the club from grass roots level. "We're looking to improving the training area for all the junior sides so that they can compete better in the future," he said. Longden has an impressive CV and has trained every age group for almost three decades - most of which was at Central as well as representative teams. Longden explained what his role will entail. "I'm going to try and help getting the coaches to help the kids improve their technique," he said. He completed a trip overseas to England and Scotland and picked up valuable advice from Manchester United and Burnley FC. "They also has some Manchester United Futsal training as well and I got to see warm-up exercises that they did and all that sort of thing," Longden said. He said the club has a talented crop of juniors coming through and it's just a matter of enhancing their skills and speed. "It all starts from when they're in under-5 and U6s," Longden said. Club president Marty Emerson said Longden will bring a wealth of experience to the table. "We have a lot of passionate and talented junior players in our club and we identified that we needed a Technical Director to support our coaches with a structured training program for each age groups centred on the FFA curriculum which will take the development of our junior players to the next level," he said. "Craig has 28 years of coaching experience through not only all of the junior age groups, but seniors as well." Emerson said Longden's previous connection with Central played a role in the development of one of the best players in Central Queensland. "Being able to fill the role from within our club is perfect as Craig knows our clubs values and principles," he said. "He is well known and highly regarded in the club and has coached a lot of our talented players over the years including Garth Lawrie who won the Central Queensland Premier League player of the year award for the second time in 2018." burnley central soccer football club football australia football central queensland football queensland manchester united f.c.